What is a hearing device? Microphone detects sounds in the surroundings and converts them into electronic signals and then sends to the amplifier. Some hearing devices have 2 microphones to help distinguish background noises. Amplifier's role is to amply the sound and make it louder. Receiver's job is to carry the conversion to the inner drum of the ear which allows you to hear sounds, conversation, music etc. The Circuit is the backbone of a hearing device. It deciphers the sound and deals with the transformation of the incoming sound. Since it is programmed with a software, the circuit is smart enough to know which sound should be amplified and which sound should be reduced. For example: unnecessary noises on a highway are softened to better the audibility. It also softens noises in the background and amplifies sounds that you struggled to hear without a hearing device. Hearing aid is programmed by a specialist called 'Audiologist'. An audiologist programs the hearing aid to amply certain sounds and reduce the others depending upon the type of the hearing loss of the patient. Battery is an indispensable part of a hearing device as the device cannot work without power. It is better to keep 2 batteries with you, so that you are not left to your own devices when one drains out completely. Hearing loss costs a fortune in terms of career growth, relationships, efficiency etc. Hearing devices improves the quality of your life by enhancing not only the hearing ability, but also the sense of well being. Enhances your hearing ability- Of course, that's what you use a hearing device for. Improved hearing ability improves the quality of your life. Cost effective:- Hearing aids are cost effective and you will not find it difficult to get a hearing device that fits your needs and budget. Various Styles:- There are so many types of hearing devices available in the market that you can pick the one of your choice according to your lifestyle, profession and budget. 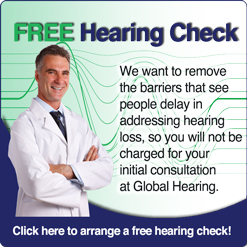 Best treatment for Tinnitus:- A ringing or buzzing sound in the ears is called Tinnitus. Audiologists say that using a hearing aid masks the tinnitus and thus reduces the ringing sound.